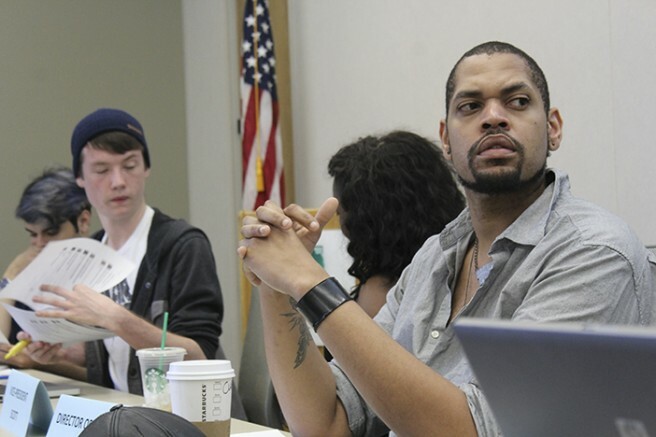 The American River College Associated Student Body Student Senate added Phi Theta Kappa Honor Society member Kevin Jenco to the board, but lost Sen. Kylie Marx and Sen. Zach Perry at Thursday’s meeting. Jenco, organizer of the Phi Theta Kappa fundraiser banquet, has regularly been attending Senate meetings since February and now wants to use the rest of his time here at ARC to help the Student Senate. Marx, who resigned from her CAEB director of activities position on Tuesday, said she had to withdraw from the semester for personal reasons and therefore had to resign from Student Senate. Perry, appointed less than a month ago, had to resign due to his moving back to Indiana, according to Student Senate President David Hylton II. Also at Thursday’s meeting, the Senate passed a bill helping students attend NCORE. The bill allocates $1,000 to help students of the Progressive Democrats Club and Sociology attend NCORE, the National Conference on Race and Ethnicity, held in San Francisco. Last week, the bill was presented with an amount of $2,000. Two students are hoping to be funded by this bill: VP of Progressive Democrats, Shonn Sutton, and the Treasurer of both clubs, Laurie Jones. As she is also the Senate Director of Legislative Affairs, Jones abstained from the vote. Three resolutions were approved at Thursday’s meeting. The resolutions hope to improve access to open educational resources (OERs), provide more health opportunities on campus and improve student voter registration access. The Open Education Resources resolution encourages the college administration to collaborate and develop with the faculty and the Academic Senate of ARC a specific plan of commitment to increase to reliable OERs. It is still at the discretion of the individuals that comprise the ARC faculty to create their own classroom’s curriculum and promotion of alternative sources shall only be a recommendation and not a requirement of staff to meet. Resolution S16-35, Campus Health Service Fee, urges the campus administration and district to include a ballot entry of increased campus health services on campus by adding to student fees by up to $10. This would not make a campus ballot until next year. Resolution S16-38, Voter Registration, urges ARC and Los Rios Community College District (LRCCD) administration work with the Secretary of State’s office to integrate voter registration into the class registration process so that students can easily register to vote. According to the bill only 52% of eligible California youth aged 18-24 were registered to vote before the November 2014 election. Be the first to comment on "Student Senate add new Sen., lose two to resignation"